Parks Candles’ number 4 scent is redolent of both passion flower and vanilla, a popular combination that has proven to be a customer favourite for years. 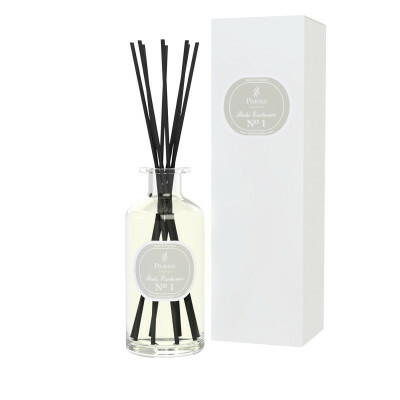 This large size reed diffuser kit is designed to bring out a hint of luxury to any home, workspace, or other internal area. It comes with one of our largest scent bottles, and can either be used continuously for as many as 14 weeks, or just when you need the distinct emotional lift it provides. This is great, but who could resist letting it do its quiet, elegant job all the time? Everyone is familiar with the scent of vanilla. It speaks to us of cleanliness, purity, and of so many good things to eat. It is now hard to imagine what the holidays would have been like before vanilla, but not so long ago, it was completely unknown in the West. It was originally the sole secret of the exotic peoples of the Yucatan peninsula and nearby islands, but as soon as Westerners discovered the unmatched scent of the vanilla plant’s seedpods, it became a highly sought-after trade good. Passion flower has a subtle, complicated aroma that is something altogether different. It is almost overlooked at first scent, but it proves to be as powerful as it is subtle and simply refuses to be dismissed. It works perfectly alongside the bolder vanilla to create a strong, yet not overpowering scent, which is sweet but not cloying, and relaxing without being heavy. 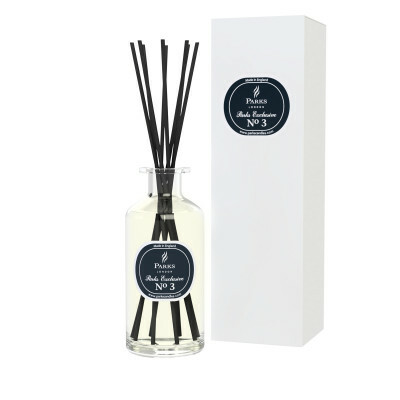 The decorative bottle and all the natural diffuser wands come in an equally attractive cylinder box, which only hints at the elegance that waits within.